Sooner or later it happens to everyone, just when you least expect it, just what you least expect, exactly what you want comes your way! We all have decisions to make in life, and wouldn’t it be great to have a reminder that helps us make choices? When I was asked in 2016 to make and show some of my jewelry work for a local Valentine’s day presentation I thought about the town of Darien, Connecticut. I wanted to connect with my heart to my community in an expressive manner. Our connection to the waters of the Long Island Sound is not only town specific it is universal! If we can think of something good to do each day that connects us to mother earth how would that make us feel? When I start getting distracted I remember to make reminders, for me executive function means writing things down, setting goals, and planning to get things done. We are our own CEO’s right? That was the initial thought process when I started to make “Reigning Hearts” This pendant acts a my touchable reminder (also know as Raining Hearts) that I am connected to my community, to the fact that I can have compassion for those around me and that I have choices to connect with mother earth each day. I love double entendres the meaning of “reign” and “rain” their connection and a visions of showering and being showered in love is a deep motivational thought. Knowing that I have choices and the ability to change direction and take care of myself can be mood changing for me. 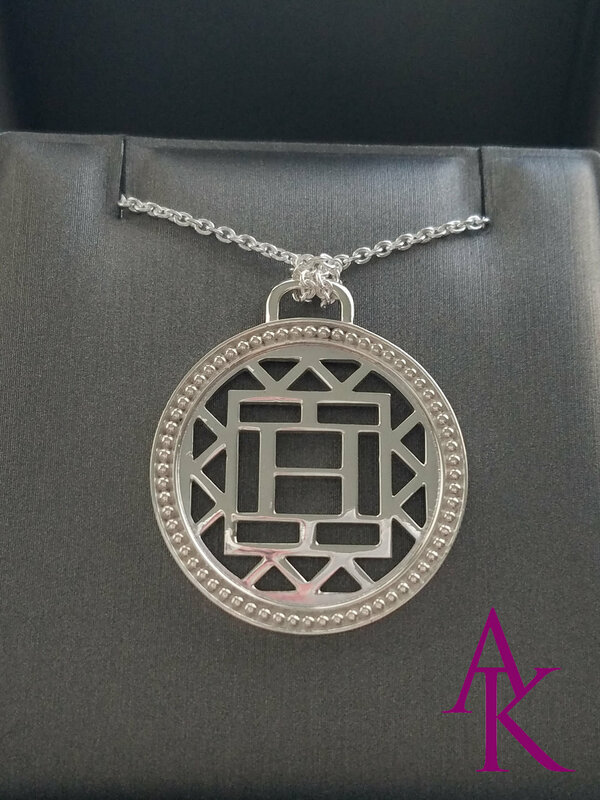 Since 2016 the Reigning Hearts pendant has had several iterations but the original design motif prevails. Hearts flowing downward and when the pendant is turned on its side you can see the Wave pattern. I continue to making a new iterations of this pendant, this time utilizing stars. Raining Stars has had a name change! The new name is Rising Stars. Do you know someone going for a goal? You can see the latest design in this carousel rotation. The H pendant came from Hindley Elementary School when my youngest son was performing in the last few performances in the schools multi-purpose room. I noticed everyone was using their cameras to take films. How many times had I actually gone back to look at the films of my son’s older brothers? Sadly none, so instead I wanted the memory of my son’s milestone to be captured in a tangible form. I recognize that he was to be promoted to 6th Grade but it was just as much a milestone for me as it was for my son. That’s what prompted me to make the Happiness H pendant. The Happiness Pendant is my understated reminder of my commitment and connection to being a mom without distraction from my son’s accomplishments. It connects me to my children, to our shared commitment to education and to a specific moment and place in time.